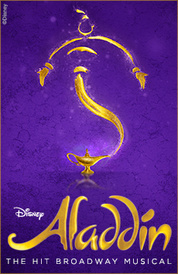 The beloved story of Aladdin is brought to thrilling theatrical life in this bold new musical. With just one rub of a magic lamp, Aladdin’s journey sweeps you into an exotic world full of daring adventure, classic comedy and timeless romance. It’s an unforgettable experience that includes all the cherished songs from the Academy Award-­winning score and more written especially for the stage.